Temperatures for the winter of 2018/19 are most likely to be very close to the 1981-2010 average over much of the UK, but in Scotland, there is about 50% chance of the winter ending up warmer than average but not exceptionally so. Although December is likely to have a cold spell around midmonth the month as a whole will probably be warmer than average across the UK, most likely with a positive anomaly close to 1C. There is also about 30% chance of January being a milder than average month (note the 2005 and 2007 analogues), but the most likely scenario for January sees above-average temperatures in Scotland, particularly the north of Scotland, but near or slightly below average temperatures over much of England and Wales and Northern Ireland. For February, temperatures are about 70% likely to be below average (the percentage likelihood would be higher than that if it wasn't the last month in the forecast period and thus traditionally the most prone to uncertainty as new atmospheric signals develop nearer the time). Rainfall for the winter of 2018/19 looks set to be below average in north-west Scotland and near or slightly above normal in most other regions, with the east of England most likely to see above average rainfall. December is most likely to be wetter than normal across the UK, but not exceptionally so, due to a drier spell midmonth. For January the signals are more mixed but with the majority suggesting that January will be drier than average in most parts of the country. For February, the probabilities favour a much drier than average month especially for the north-west of Scotland, but with eastern and southern Britain more likely to have near or above average rainfall. The winter of 2017/18 had ENSO in a weak La Nina phase, in contrast to the upcoming winter which is forecast to have a weak El Nino. December had frequent northerly incursions and some fairly widespread snow events, especially in the second week, but some milder interludes also, which resulted in near average temperatures overall. January was mild overall, but the third week saw some cold zonality in the north, with widespread snow over Scotland and northern England. February was a sunny month for most with near to slightly below average temperatures until the last week, but an exceptionally cold easterly at the end of the month brought widespread snow showers with daytime temperatures widely below freezing in spite of most areas having a fair amount of sunshine in between the showers. 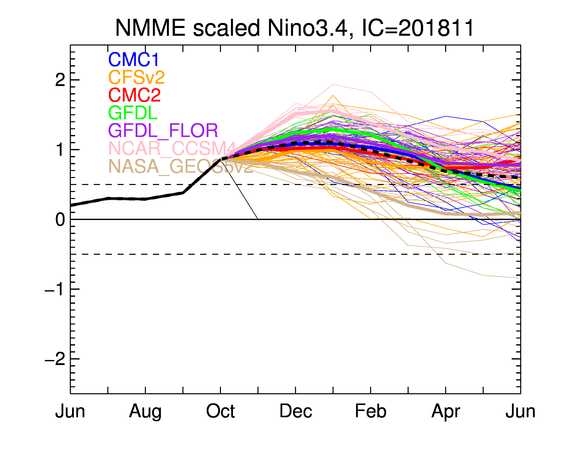 The NMME ensembles (above) are going for a weak El Nino (magnitude peaking at approximately +1) but with some uncertainty around the mean, and some weak hints at a weakening of the El Nino towards spring. The ECMWF ensembles go for a weaker El Nino (magnitude most likely less than +1), but the Met Office ensembles point towards a stronger El Nino, with the majority of ensembles going for a magnitude of around +1.5. Thus, El Nino looks set to be dominant this winter, possibly comparable to the 2009/10 El Nino but unlikely to approach the magnitude of El Nino seen in the winter of 2015/16. Looking at the MEI based ENSO time series for previous seasons, the closest analogue is the winter of 1964. Other near approaches are 1978, 1987, 2005 and 2007. The overall signal is for the winter of 2018/19 to be more anticyclonic than average, with a reduced mean westerly flow relative to normal. Breaking it down by month, though, we see the traditional El Nino winter progression from relatively westerly-dominated weather early in the season, to blocked patterns and more frequent easterly winds late in the season. The respective Decembers were on average more westerly than normal, with an anticyclonic tendency in the south. 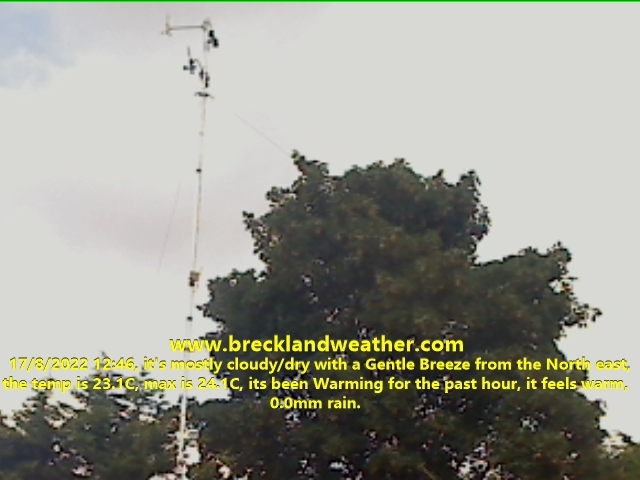 The Januarys tended to be anticyclonic with the mean sea-level pressure pattern being anticyclonic north-westerly. Note that the above Januarys were a mixed bag, however, containing the exceptionally mild ones in 2005 and 2007 as well as the cold one in 1987 which was famous for its exceptionally cold easterly incursion between the 10th and 15th. The Februarys had a very marked tendency towards high latitude blocking, especially between Greenland and Iceland, and an anomalous easterly flow covering the British Isles. 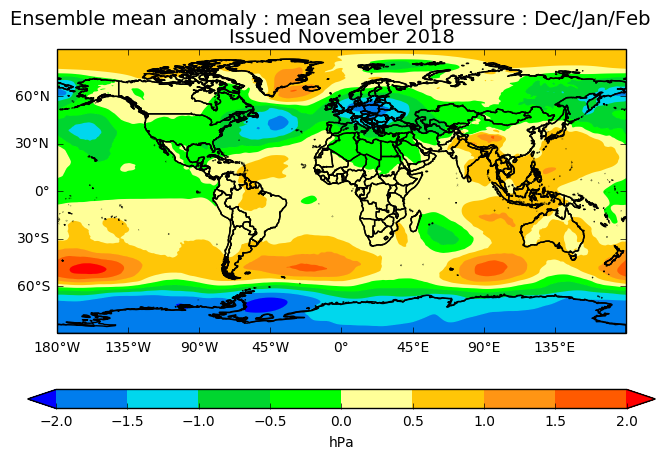 The mean sea level pressure anomaly for the Februarys (below) will be of interest to those who hope for cold, snowy weather, and also matches up well with the Met Office model ensemble mean projections for Jan/Feb/Mar and Feb/Mar/Apr, which point towards high latitude blocking late in the season. Strong El Nino winters don't always end cold (indeed, the winters of 1868/69 and 1997/98 both had exceptionally warm Februarys) but winters with relatively weak El Nino conditions appear to more reliably see a reduced mean westerly flow by February. Note that this doesn't always mean widespread snow for the UK though - I still recall the second half of February 2007, when much of Europe had a cold easterly spell, but the cold air never made it across the North Sea to the British Isles. The QBO (Quasi-Biennial Oscillation) has been in an easterly phase since the summer of 2017 but has moved into a neutral phase during September and October. In winter the easterly phase of the QBO is correlated with a weak jet stream and more high latitude blocking than usual, but the near-neutral present state of the QBO means that it will probably have little bearing on the winter of 2018/19. The Madden-Julian Oscillation is currently forecast to head through phase 1 and phase 2 during early December, which means that there is an above average chance of early December being dominated by low pressure and relatively mild temperatures. A shift into phase 3 is possible towards midmonth which increases the chances of colder, drier, anticyclonic weather around mid-December. If the MJO retains a strong signal, then late December may be mild and westerly dominated with the MJO going through phases 4 and 5. During January and February it is impossible to forecast where the MJO will be at particular times in the month, but phases 7, 8 and 1 are the phases which tend to correspond to the increased likelihood of high latitude blocking and cold and potentially snowy weather over the British Isles. 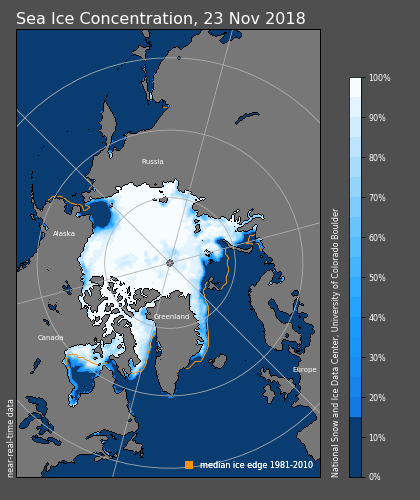 At this point in the year, sea ice was comparably extensive in 2007 and 2013 (including the same regional anomalies in the Arctic, with below average extent east of Svalbard and in the Bering Sea). 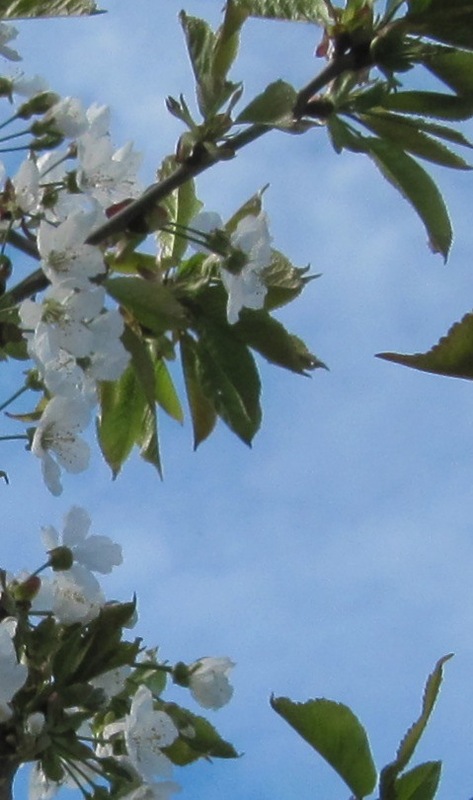 The winters of 2007/08 and 2013/14 were both mild, and 2013/14 was also exceptionally wet, but 2007/08 contained an exceptionally sunny February. The North Atlantic Oscillation and Arctic Oscillation are generally forecast to be near-neutral early in the season, but with some disagreement between the models and also the analogues from past years. Late in the season, there is strong support for a negative North Atlantic Oscillation and Arctic Oscillation with a much reduced mean westerly flow relative to normal over the British Isles and a suggestion that easterly winds may be somewhat more common than usual. The Met Office long-range model ensemble, which has had a good track record at identifying the pressure patterns for the summer and autumn of 2018, is suggesting that temperatures over the UK are most likely to be near to the long-term average despite the generally elevated global temperatures. 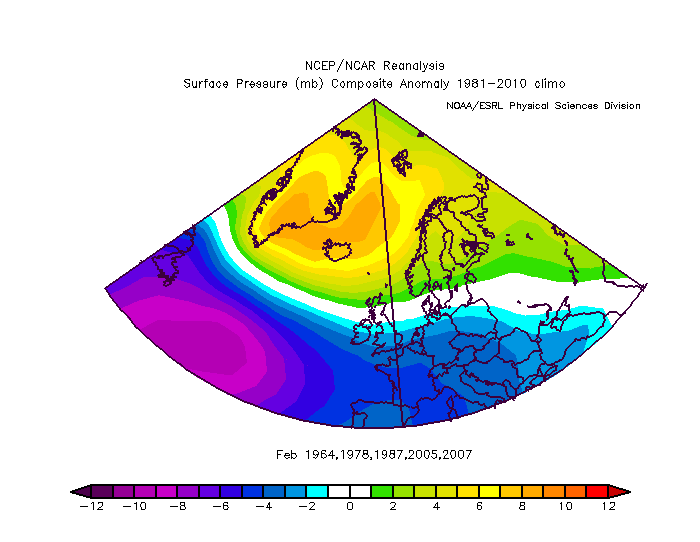 There is a signal for below average pressure over central Europe and above average pressure over Greenland, and the forecast for Jan-Feb-Mar and Feb-Mar-Apr indicate an increasing chance of extensive high latitude blocking and frequent easterly winds over the British Isles late in the season, and a likelihood of cyclonic weather being more dominant than usual early in the season. Precipitation is forecast to be near to slightly above average over much of the UK but below average in north-west Scotland. The Netweather long-range model is suggesting that mean sea level pressure will be slightly below average over the British Isles during December and January, with January seeing more high latitude blocking than usual. 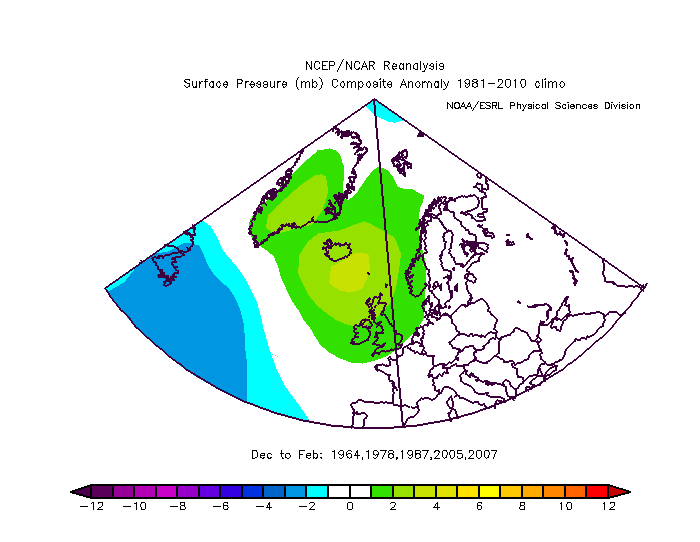 Britain is forecast to have slightly above normal sea level pressure during February. The westerlies are predicted to be slightly less dominant than usual. The ECMWF long-range guidance is suggesting slightly above pressure over the British Isles, with the anomaly centre to the north, which indicates a slightly reduced mean westerly flow relative to normal. Like the Met Office, the ECMWF model suggests that near average temperatures are most likely for the British Isles during the winter quarter, though perhaps a little above in the north, with an increased likelihood of extensive high latitude blocking late in the season. 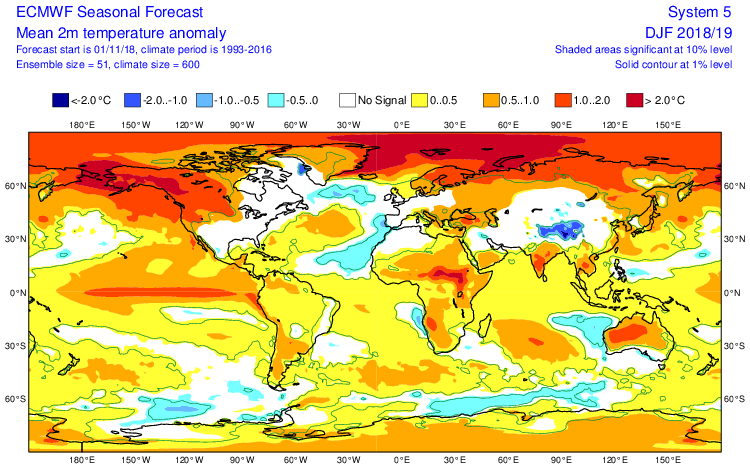 The ECMWF model has no clear precipitation signal for Britain. As in recent winters, anomalous warmth is forecast for the Arctic. The JAMSTEC model outlook has a colder than average winter over the British Isles, and below average precipitation in the north-west and above average precipitation in the south-east, suggesting a strong likelihood of blocked weather patterns and a reduced westerly flow relative to normal. The CANSIPS model is suggesting that December will be more cyclonic than usual with southerly winds more frequent than usual, followed by a January with reduced westerly flow relative to normal and above average pressure over Greenland, and then a much reduced westerly flow relative to normal for February. Overall, the signals for December are quite mixed, but the most likely outcome is that the month will be unsettled and mild early and late, possibly with a colder blocked spell around mid-month, and probably wetter than average overall for the British Isles. For January there is strong support from the analogues for colder, more settled conditions and a mean westerly flow somewhat veered from normal, pointing to northerlies being more frequent than normal, although two of the closest ENSO analogues are 2005 and 2007 which had very mild Januarys with rampant westerlies. For February there is strong support for plenty of high latitude blocking and easterly winds blowing more frequently than normal, as has historically been very common in winters with ENSO in a relatively weak El Nino state, and both the analogues and the major long range forecast models are in strong agreement on this. In particular, any sudden stratospheric warming event in January or February, especially later in the season, would be particularly likely to give us a significant cold spell given that the probabilities are already weighted towards high latitude blocking for February.